Whats in my bag for Baselworld 2019? Many have asked what is the gear do we use to capture the photographs used in this site. 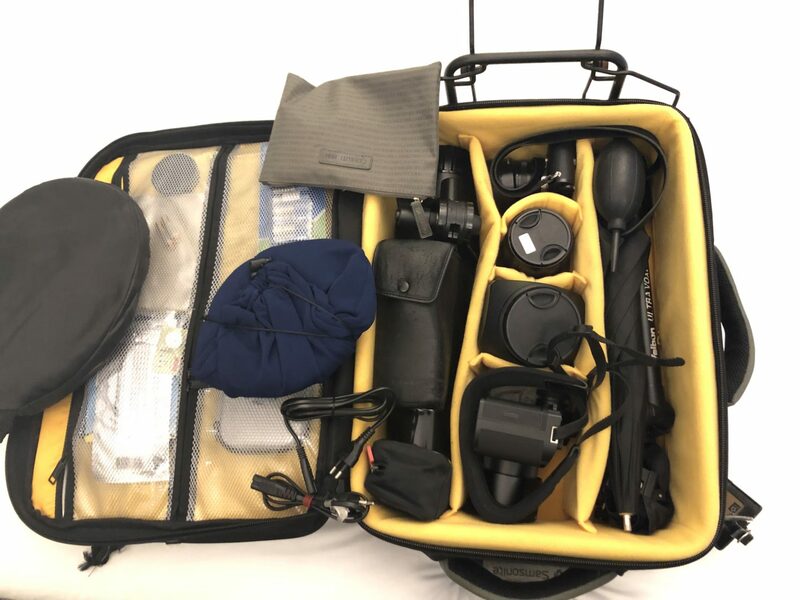 We thought, perhaps we do one better and share with you what is in my camera bag for Baselworld. The gear goes into a Kata (the company is now defunct) trolley bag which is just within airline cabin size. In the lid of the bag are accessories – spare memory cards, BlueTac, USB power bank, a small lavalier microphone and spare batteries. Most of the gear I carry to the shows – SIHH, Baselworld is the same. 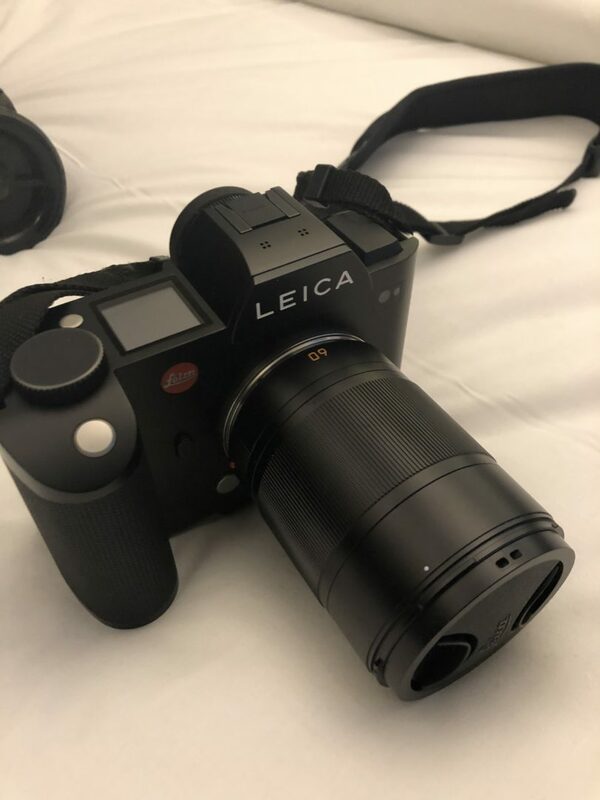 But for Baselworld this year, we have some new equipment – courtesy of the kind folks at Leica Singapore who have offered some cameras and lenses to use in this trip. 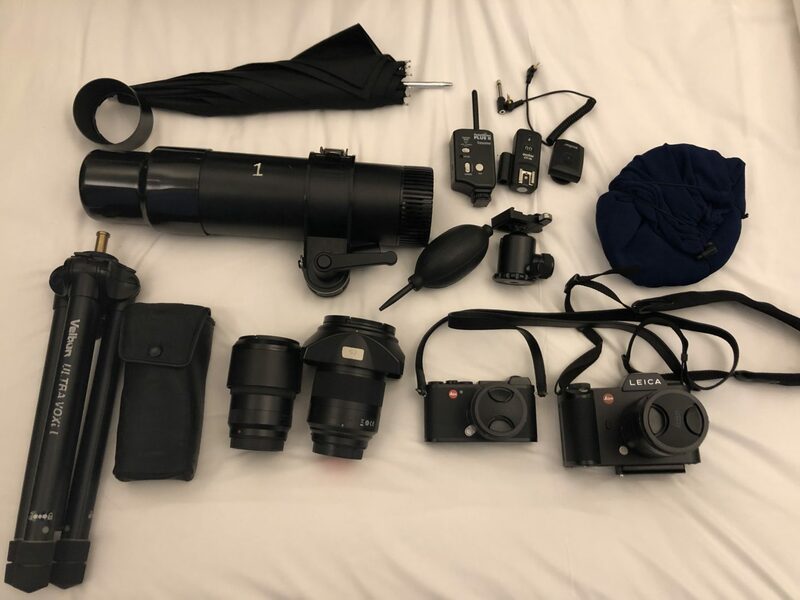 Flat lay of the gear in the bag. Here is the gear list. Leica SL Type 601 full frame (36mmx24mm) mirrorless digital camera with 24 MP. The Leica SL with the 60mm macro lens attached. Leica CL Type7324 APS-C mirrorless digital camera with 24 MP. 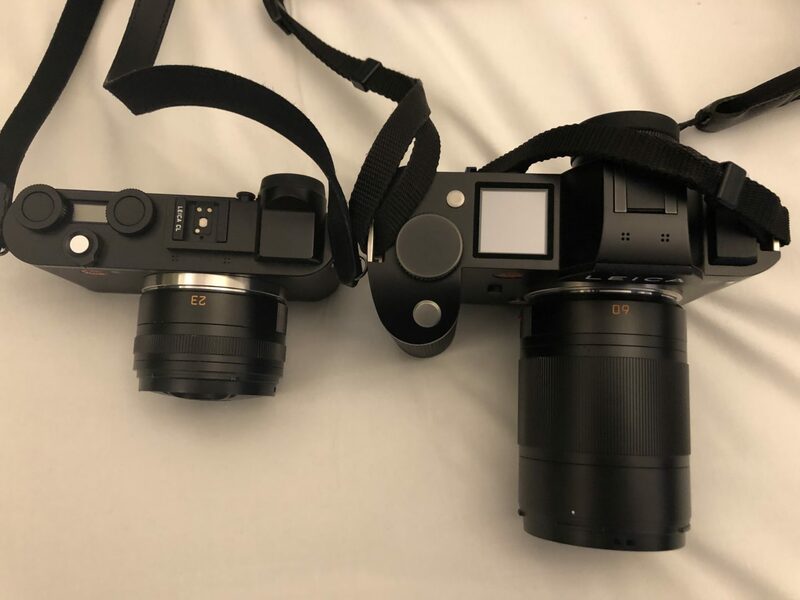 The Leica CL on the left with the 23mm lens, and the SL on the right with the 60mm Macro. The SL is rather large, about the size of a typical DSLR, though smaller than professional models from Canon D1x series or the Nikon D5. The CL is rather small, about the size of a typical point and shoot. Both feature interchangable lenses, and share the same lens mount – the L mount. All lenses with the L mount can be used in either body. Including non-Leica L mount lenses – like the 3 recently introduced Panasonic Pro S1 lenses, and the soon to be available suite from Sigma. Summicron-TL 23 f/2 ASPH lens, wide angle prime lens. Super-Vario-Elmar SL 16–35 f/3.5–4.5 ASPH lens, wide angle zoom lens which will primarly be used to photograph the booths. And serves as a good general purpose zoom. APO-Macro-Elmarit-TL 60 f/2.8 ASPH lens – this will be the most used lens in this trip, and will be used to photograph all the watches. The lens, like other CL lenses covers only an APS-C frame. It will shoot full frame on the CL, but with this lens on, the SL will automatically switch to APS-C mode at 10 MP. The lens offers 1:1 macro on both bodies. APO-SUMMICRON-SL 90 f/2 ASPH lens which I will use primarily as a portrait lens. sensor. This sensor is CCD vs CMOS found in modern systems. The advantage is that the CCD colour is better(I prefer it), but loses out in low light performance. This is not an issue as I shoot at ISO100 with powerful flash lighting. Flashes: Canon EX580 speedlight as a fill light, and a Profoto Compact 600 with an 24” reflective umbrella as a modifier. The Profoto puts out 600 Ws of power, about 5 times the output of a typical high end speedlight. The flashes are triggered by a Godox wireless flash trigger in manual mode. A back up flash trigger is also carried – this is the Pocket Wizard Plus II. Either can be used to trigger the system. But the Godox is preferred as it can trigger the Canon, while the PW2 can only trigger the built in receiver in the Profoto. The Canon is set up as a master and the Profoto as an optical slave. In the event of another flash system is used by another photographer sharing the same room, the Profoto is connected via a wire from the Godox trigger. The Profoto sits on top of a Velbon tripod via a lighting spigot. The light output from the flash is modified by the 24 inch silver umbrella mounted on the Profoto. The tripod doubles up for actual tripod duties to mount the camera for lume shots. For this, the spigot is swapped for a Kangringpoche ball head with an Arca Swiss style quick release system. An additional foldable silver/white reflector is sometimes used to bounce light onto the subjects. Softbox: A brandless white softbox cube with a black velvet background is used as an additional modifier. I place the watch within this cube. The double diffusion by reflecting the flash from the Profoto and the cube results in a light which is powerful, but with a very soft quality. A full review of the Leica SL and CL with lenses forthcoming.